"Another article about me?! Just what I always wanted!" "I have graced them with my presence once again!" Needless to say, the writing was on the wall. And as horribly delusional that he clearly is now, running around and telling anyone who will listen that Milan played horribly under Mihajlovic, and that they are playing “better” now under Brocchi, he’s always had delusions. But I think this past four years especially has gradually pulled the veil from the eyes of everyone, from his most fervent supporters to the general public. From the courtship of Mr. Bee’s non-existent money to him finally admitting he’s willing to sell a majority, it seems that he might be finally being forced to get in touch with some reality. Well, except when he talks about the football he’s not even been to stadium to see, or holding out for an Italian owner. How long has Italy’s financial crisis lasted, and he doesn’t even get that there isn’t big money anymore in Italy? "She totally wants me. I wonder how old she is?" So today I decided to gather a bunch of the pieces that have been chronicled here over the last five years regarding Berlusconi, how his personal life has impacted the club, his financial decisions, his meddling with the coaching, press conferences, nepotism, and more. If you choose to read one of them or all of them, you’ll see that the writing was truly on the wall all along. July 12, 2012 • Who’s Afraid of PSG? Ahead of the sale of Thiago Silva and Ibra, a picture was painted of why and how Berlusconi might have to go through with the sale, specifically regarding the Fininvest fine. Questioning management’s “plan” for rebuilding in the wake of the loss of the Senatori, etc., including looking at the wage bill, balancing the books, quality players, and more. 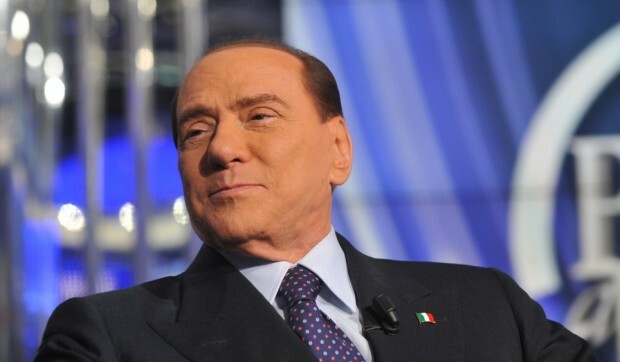 Berlusconi’s comments on the Milan Channel were put to the test to see if he was being honest or not following the sale of Ibra and Thiago Silva. Discussing the “rebuilding” or lack thereof after the mass exodus of quality players the previous summer, and Berlusconi’s role in it. Exploring the impact on the club of Silvio’s criminal actions, countless legal fees, and other personal issues which prevent him from investing in the club literally or even emotionally. Agrowing contempt for all of the lies and deception from management and the blatant disregard for the fans. A recap of events up until that point that showed why we were there and how we got there, as well as a bleak forecast for the future. 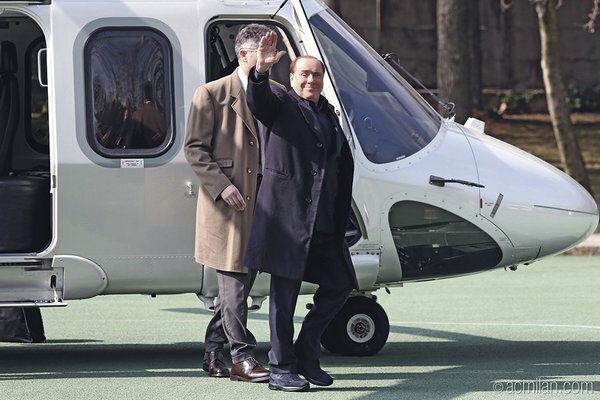 Silvio running his mouth in the media again, trying to get Milan fans to feel sorry for him. Only it had the complete opposite effect. His blatant disregard for the fans has always been prevalent. Amidst a discussion of how Milan fits into FFP are overlooked points about Milan’s poor management and Berlusconi’s lack of interest/investment at Milan. A look at Berlusconi’s absence in all things Milan, even at the opening of his daughter’s claim to fame, Casa Milan. Discussing why the damage Berlusconi has done may prove costly even with new ownership, and what it might take to rebuild. People thought the deal with Mr. Bee was as good as gold, then all of a sudden, Berlusconi started talking nonsense to the media, like he was having second thoughts. Sound familiar? Comparing our then current squad and situation with Sacchi’s teams and how Berlusconi was able to build a winning side so quickly then, but no one would be able to repeat that feat today. November 9, 2015 • Do You Still Beelieve? While still waiting for the Mr. Bee deal to happen, Berlusconi dropped €90-150m in the transfer market, let Barbara plan for a stadium, then whisked it away like a bully with a toy. Very suspicious behavior, indeed. How Berlusconi’s spending was like burning money, and how his patterns led to the general burning of everything Milan. While this one lands more squarely on the shoulders of Galliani, it does beg the question of whether or not Milan management sabotaged Milan this year. First, giving El Shaarawy to a team who were just above us on the table, then later sacking Mihajlovic. March 23, 2016 • Is Milan Better than Last Year? A question raised whose answer is the opposite of Berlusconi’s current selfish and myopic sound bites, with answers which flat out prove him wrong. The reaction to Mihajlovic’ sudden and inexplicable sacking, and how it set the club’s clock back to Year Zero again. 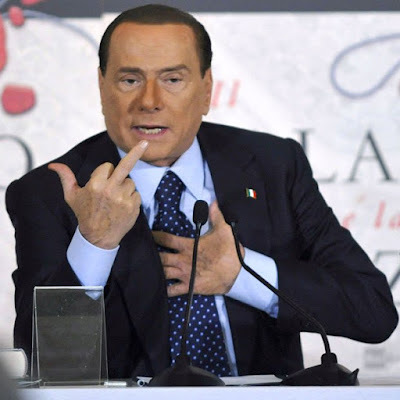 "I care deeply about Milan fans"
Well, there’s the top twenty posts about Berlusconi’s failings, written over the past five years. Even with all of that knowledge, I think most fans had a hard time seeing things get this bad at this point. Not just clinging to optimism for the love of the shirt, but rather just having some common sense. It makes no sense whatsoever that anyone would let their club fall so hard and so badly, but Berlusconi has clearly had no problems whatsoever. And if there’s anything you learn from having read any or all of the above posts again, it’s that there’s still room for Berlusconi to drag the club down farther. Even if he does not have the ability to learn at all, we as fans should be responsible and follow the learning curve of what we know about our megalomaniac club President. Hip hip hoora.